No one can say that our patient partner Bob Strain doesn’t put his heart into spreading the importance of patients expressing what matters to them and taking the lead in their health care. This year, Bob is so dedicated to promoting the message far and wide in preparation for “What Matters to You?” Day tomorrow that he has a full schedule ahead and even enlisted his wife to join him! A PVN Patient Partner since 2012, Bob has participated in numerous engagement opportunities. 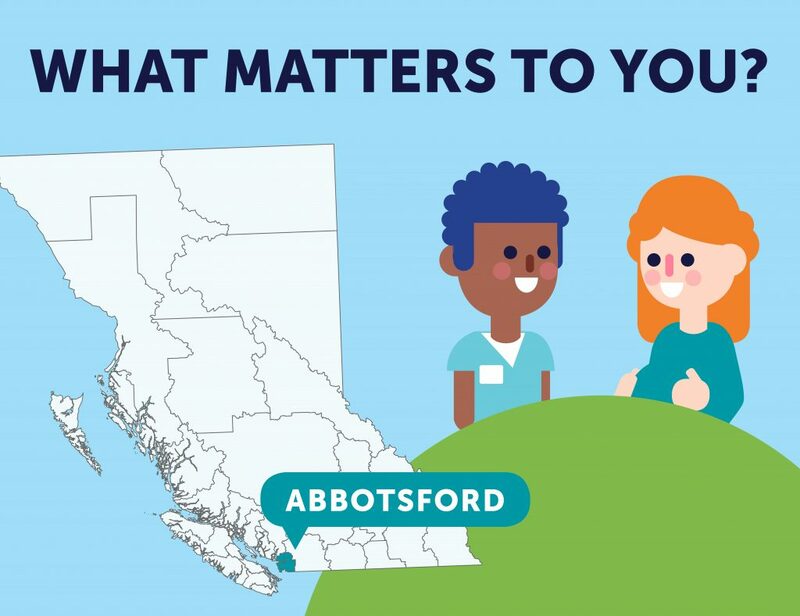 Now, as a member of Fraser Health’s Patient Advisory Council, he is working with a dedicated team to increase the visibility of “What Matters to You?” Day in Abbotsford, his home town. In the last couple of weeks, Bob visited doctors and dentist offices, as well as a few other emblematic places, such as the city’s library and the Fraser Health office, to distribute resources and talk about the campaign. He also visited the Abbotsford Regional Hospital’s team to hear about their plans for the day; he liked them so much that he will be at the hospital on June 6, along with his wife, Anne! Bob and Anne will be at the hospital supporting the personnel at the cardiac floor in asking patients what matters to them. While Anne will go to the cardiac ward to greet people and ask what matters to them, Bob will be on a different mobile unit visiting four wards with their health care professionals. The hospital’s team will then print the visitors’ answers on heart-shaped leaves and hang them around the hospital to inspire patients to come forward to talk about their hopes and dreams for health care, and discuss what matters to them. If you’re curious about why the campaign is so important to Bob, it is because he is a living, breathing example of the power of taking lemons and making lemonade. Through a variety of health challenges, Bob has always found the time to bring forward his energy for improving health care for others. 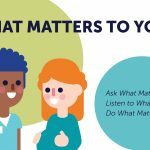 “What Matters to You?” Day gives him the chance to encourage other patients to use their voices in being a partner in their care, and he is taking up this challenge to better his community health care services and be an active participant in improvements. 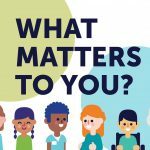 Join “What Matters to You?” Day! You, too, can join Bob and other patient and health care partners across the province and be a champion of “What Matters to You?” Day 2017! Sign up at www.whatmatterstoyoubc.ca and talk to your care provider about what matters to you. Share your story with us and let us know how it felt to share what truly matters to you and how your health care provider reacted. We’re looking forward to hearing your stories! On June 6, join us in a conversation about what matters to you! This entry was posted in Campaigns, Guest Posts, PVN Volunteers.